When drivers in Ardmore, Oklahoma, need an SUV that can provide superior towing capacity as well as seating room for many passengers, they often consider large, old-style SUVs. Luckily, there are more options. 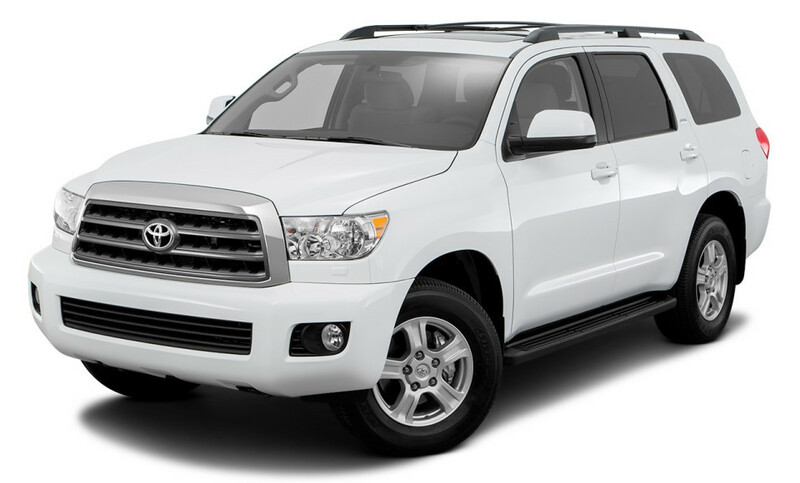 The Toyota Sequoia is virtually unmatched in strength, class, and style. Call for Price. | 5 mi. Call for Price. | 6 mi. The Sequoia’s engine is extremely smooth considering how powerful the acceleration is, which makes it perfect for the daily commute while still being able to handle heavy loads of up to 7,400 pounds on your weekend trips. It’s built on a version of the Tundra’s platform and has room for 8 people while still putting out 381 horsepower from its V8, 5.7-liter engine. 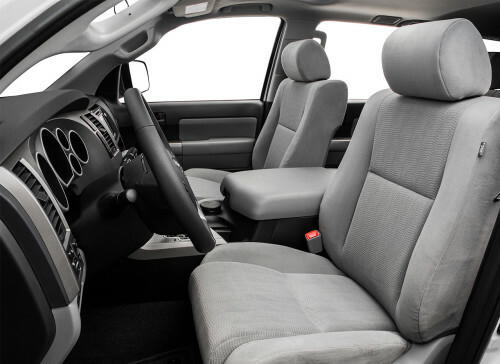 The interior offers flexible seating with a roomy cabin. The Sequoia’s base model comes packed with upper-end features even with the standard trim, putting it on a level with many luxury vehicles. You will enjoy such features as an upgraded navigation and gauge system, leather upholstery, heated front seats, a driver’s seat that is power adjustable 10 ways, 2nd- and 3rd-row side-window sunshades, a 3rd row that is power folding and reclining, and a rearview mirror that is auto-dimming and equipped with a camera. Additional options are a Blu-ray player for entertaining backseat passengers and a JBL sound system with 14 speakers. In the Platinum model, you will find blind-spot monitoring, 2nd-row captain’s chairs that are heated, perforated leather upholstery, adaptive cruise control, ventilated and heated front seats, load-leveling rear with adaptive air suspension, a driver’s seat that is 12-way power adjustable, driver memory functions, and a steering wheel that is power adjustable. To get a better look, come out to Toyota of Ardmore and test-drive the Toyota Sequoia today! The 2016 Toyota Sequoia is here and we already have fantastic discounts. If you are shopping for a quality used Sequoia in Ardmore, we have an incredible inventory to choose from.